Chinaplas 2017 will be held in Guangzhou from May 16 -19. Not only will more than 3,300 exhibitors introduce innovative solutions for the plastics industries, but there will be a range of events to meet the industry’s needs. Chinaplas’ events, in which industrial giants share their experiences and attendees gain insights into industrial trends, have always been the highlight of the trade fair, and have been well received by exhibitors and visitors alike. Following the theme of Intelligent Manufacturing, High-tech Materials, Green Solutions”, the organiser of Chinaplas, will be simultaneously running three events during the exhibition: The Industry 4.0 Conference; Design x Innovation and the Medical Plastics Conference. Visitors can learn about new technologies and inspiring case studies, allowing them to hop on the bandwagon and understand market dynamics from multiple dimensions, explore more valuable opportunities for collaborations and expand networks to facilitate development. China has become the world’s second largest national economy, and labour costs have risen sharply. It is no longer a low-wage cost country – all kinds of cost pressures force businesses to opt for more automation equipment and advanced technology in the production processes. According to Mr. Stanley Chu, chairman, Adsale Exhibition Services, China is still a developing country, and has not yet fulfilled the necessary conditions for industrial 4.0. Because of this Chinplas 2017 will be giving Industry 4.0 top billing. There has been a growing demand for medical devices and in recent years, the rise of emerging markets and an ageing society has triggered a renewed growth of the medical device market. China’s healthcare industry offers huge potential. Due to low levels of technology manufacturers are looking for new solutions to existing production lines and cost pressures. New and better materials are the key to the future development of medical enterprises. The previous Medical Plastics Conference attracted 600 professional visitors. Topics covered included the latest medical polymer materials, 3D printing in clinical and surgical model applications, medical laws and regulations, as well as application of surgical models. 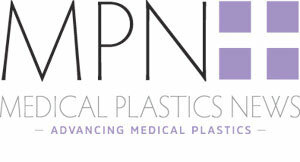 This year’s Medical Plastics Conference, will be held on May 17 and 18, and will bring together the upstream and downstream sectors of the industry to discuss the latest applications of medical plastics and cutting-edge production technology.